He definitely does not remind of the great Persian King Xerxes. What he does remind of something out of the Terminator Films. 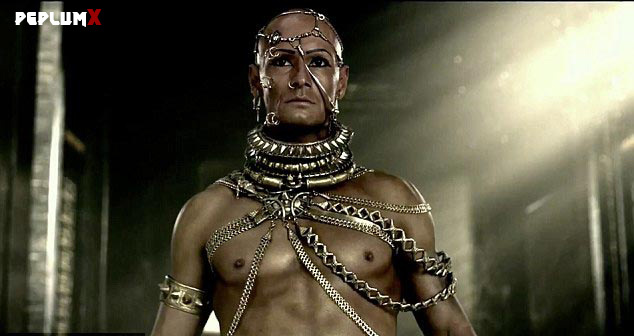 Xerxes was a great ruler and warrior during his reign. It's a shame that these movies completely destroyed the truth and the real history of the battles fought during this time period. Pure junk and unwatchable.